There are a number of ways to finance your education, and we encourage you to minimize your costs by exploring scholarship and financial aid options. Some of the available scholarships can provide you with opportunities to study outside the classroom, such as a study abroad program. There are several scholarships available to religious studies majors at USC. FTE offers support for young people interested in entering Christian ministry. Its purpose is to advance excellence and to encourage caring, capable and courageous young adults from diverse backgrounds on their journey to become pastors and scholars, the next generation of leaders for the church. The Mungo Scholarship is an annual award given to undergraduate students at USC, enrolled in any major and who plan to enter a religious seminary of any faith. Students need not be religious studies majors and may apply more than once. Students must be residents of South Carolina. Scholarships are awarded on a competitive basis. The amounts awarded may vary from year to year. The deadline for applications is May 15. Complete the application form [pdf] along with the requested two statements (explanations are on the form). Print them out, sign the form and send all in email attachment to: mardi@sc.edu or mail to: Department of Religious Studies, University of South Carolina, Columbia, South Carolina 29208. 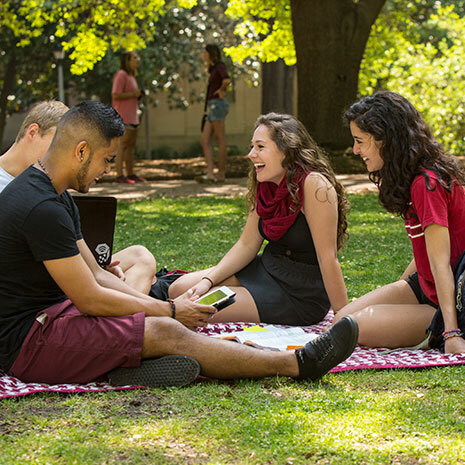 The Vernon Scholars program provides stipends to current students at the University of South Carolina who enter into a covenant with Trinity to be an active participant in Trinity’s worship life for a year while also committing to meeting with a mentor group on a monthly basis and to carrying out a project that benefits either the Trinity community or the greater Columbia community. Please contact the Office of Student Financial Aid & Scholarships for helpful information about applying for financial aid and other scholarships. The Fulbright student program offers fellowships for U.S. graduating college seniors, graduate students, young professionals and artists to study abroad for one academic year. In academic year 2008-2009, more than 1,500 Americans are studying abroad with either full or partial support from the Fulbright Program. For information on this program at USC, contact the Office of Fellowships & Scholar Programs. Gates Cambridge Scholarships are awarded to outstanding students from outside the UK to study at the University of Cambridge. The programme aims to build a global network of future leaders committed to improving the lives of others. For information on this program at USC, contact the Office of Fellowships & Scholar Programs. The Magellan Scholar Award provides USC undergraduates access to faculty mentoring relationships and a professional research experienc. This program enables students to creatively explore their interests at a more in-depth level than can be attained in the classroom. The Magellan Scholar program provides opportunities for undergraduates to build a competitive edge in the job market. The Magellan Travel Award provides travel funding for USC undergraduate students to engage in independent research projects in their field of study. Students share their research at regional, national and international meetings through poster sessions, presentations, performances, screenings, etc. Participation in discipline-appropriate venues is an important opportunity for students to communicate their original scholarship, to network and to expand their understanding of their discipline. The Office of Fellowships and Scholar Programs provides educational initiatives for exceptional students. The staff helps students in applying for different nationally prestigious scholarships. The Rhodes Scholarships are postgraduate awards supporting exceptional all-around students from diverse countries to study at the University of Oxford. Established in the will of Cecil Rhodes, the Rhodes is the oldest and perhaps the most prestigious international scholarship program in the world. For information on this program at USC, please contact the Office of Fellowships & Scholar Programs.